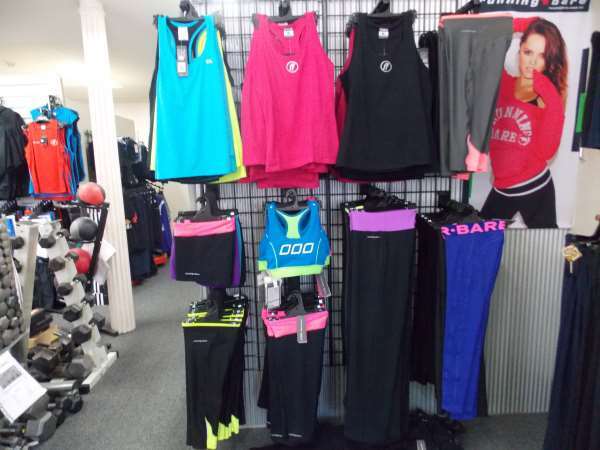 We stock a terrific range of women’s workout clothing here at Sinclairs Fitness. 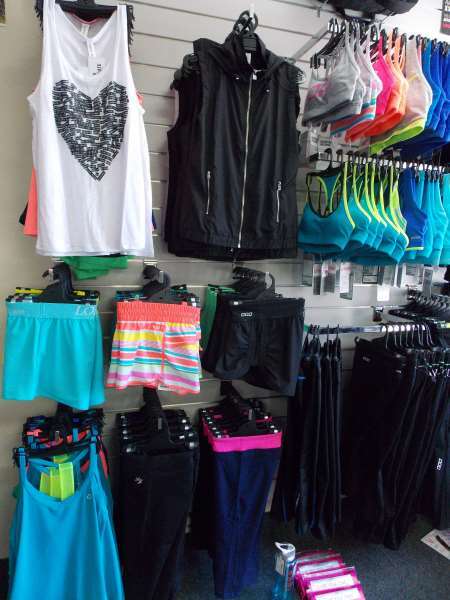 We have Lorna Jane, Running Bare and FF Sportswear – everything from inspirational tank tops to shorts, tights and running tops. 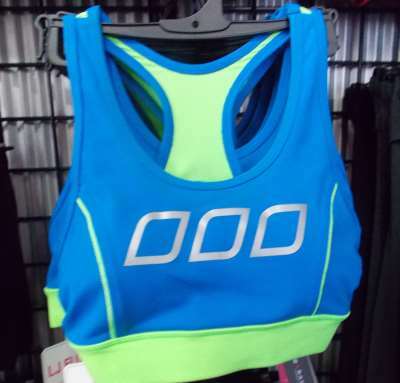 This sports bra from Lorna Jane is one of my favourite pieces at the moment – they’re super comfy and come in great colours too! It’s all practical, functional clothing that also looks amazing.